I’ll be on the road teaching most of November. Please note that if you would like to place an order we will be unavailable by phone or to fulfill orders from Nov 5 thru Nov 22. Please place any orders by Sunday, Nov 4. We will reopen on Black Friday, Nov 23. We will have access to our email intermittently on our trip, so if you have a question, need any information about a tool or class, or would like to place to be filled when we return, we will get back to you while we are away. We are planning some fun discounts for the Holidays so stay tuned! 9-6pm- Casting Including Icing Images, Stained Glass, Flowers, Blown Bubbles & Hearts and more! 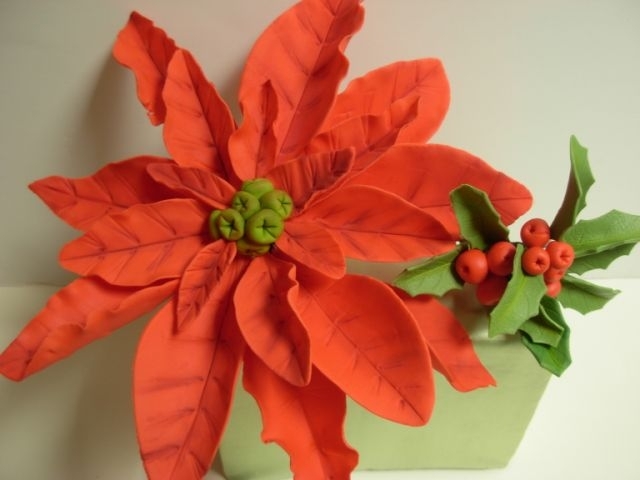 11-5pm- Hands-on poinsettias, snowflakes, icicles, penguins, blown sugar snowmen and more! 12:30-6pm- Hands-on poinsettias, snowflakes, icicles…and demo on blown sugar snowmen, penguins and more! 1-5pm- Games, Food, Fun, and Friendship! This week’s tip of the week comes from Debbie Coughlin, the owner of Icing Images in Winchester, VA. It has been a very busy few weeks on the road! It was wonderful to make a stop to see our incredible cake friends at Icing Images and they took us apple picking at Rinker Orchards in Winchester, VA. It was a great fall adventure where we picked the apples right off the tree and ate them as we walked along the rows. The trees were full because it was the first weekend of the season. The best part was that we got to spend time with the whole Coughlin family-thank you sooooo much for your hospitality. It was too short a time before we had to hit the road again. Next we were off to work at the new Sugar Arts Institute in Ephrata, PA. The new school is located a few miles outside of Lancaster and is shaping up to be a tremendous school. I’m told that eventually there will be 10 classes going simultaneously. Julie and Bucky Bashore have a wonderful vision for the new school and its future in offering a degree in Cake Decorating. We enjoyed working hard at the Level 1 & 2 Blown and Pulled Sugar Classes. The facility was fantastic to work in with heat lights that retracted into the ceiling and huge kitchens where you had enough counter space for everyone to spread out. We enjoyed meeting students from all over the world and seeing cake friends from the US that were taking classes as well. I’ll be back in March to teach blown sugar again-I think it will be a little cooler then! After that we were off to the New Jersey Sweet Treats Competition in Colonia. It was a small new show, but we were able to connect with many cake friends, teach a wonderful group of sugar students, and enjoy the beautiful cakes in the competition. Thank you to Get Sassie! for sponsoring our classes. I was proud of all our students for their beautiful bubbles and roses and their winnings in the cake competition. We hope to see you again soon. The weather was beautiful while we were in the Northeast and the leaves are beginning to change. We visited family we don’t get to see often enough and snuck away to New York City and enjoyed shopping, great food, visiting the 911 Memorial, and the San Gennaro Festival in Little Italy. We stayed with our cousins in NJ and played with fondant, edible glitter, and markers (shh….don’t tell their dad about the glitter). We managed to wipe up the evidence pretty good and head out back to roast marshmallows on the new fire pit and watch the many deer that would hang out in the back yard. We are home for a few weeks to work with our homeschool cake class and I’ll volunteer at the Brevard Zoo all month for their Boo at the Zoo events. We will be back on the road to teach isomalt at Ladybug Cake & Candy Supply in Connecticut on Nov 2 & 3 and then to Maryland to teach Holiday Isomalt hosted by Teri Tarbox and the MD ICES. Can’t wait to see all our northern cake friends soon! And then off to Europe…but more about that next time! The Big News is the Florida Mini Classes coming to Daytona, FL on January 18, 19, and 20! I’ll be teaching with an amazing cast of decorators including Merrie Lee Reese, Kathy Wyatt, Gayle Hewitt, Pattie Ames, Mercedes and Alex Strachwsky, Lucinda Lawson Olds, Carol Webb, Kathy Scott, Kelly Lance, Geraldine Randlesome, and Norm Davis and Zane Beg! It will be held at the Daytona Beach Resort & Conference Center. I’ll have classes in the mediums of isomalt, fondant, and gumpaste along with dozens of other great classes by these gifted artists. The show is hosted by Kathy Wyatt, AWK Sales formerly A Wedding by Kathy, and Gayle Hewitt, owner of Gayle’s party Cakes & Supplies in Daytona Beach. There will be a large vendor area, a banquet with a white elephant trade, and we are happy to announce that our wonderful sponsor, Icing Images. I have been asked to be the Student Ambassador for the show and will be visiting high school and culinary colleges in Florida to demonstrate the sugar arts and bring awareness to the field of cake decorating. The website will go live on Oct 15 and I’ll publish all the details as they come available. Did you know that your silicone molds don’t need any prepping? For isomalt and chocolate just pour your ingredients in and let dry! For fondant and gumpaste they release as well. If you ever have trouble you can pop them in the freezer for a minute and your decoration will release. As for cleaning all you usually need to do is wipe them out. If they get very dirty you can place them right into the dishwasher. Did you know you can bake cookies or little cake in your silicone molds? Silicone molds can take heat up to 395 degrees. You should always store your molds as flat as possible to keep their shape. If you take care of your molds they should last ten years or more! Did you know there are 19 tutorials on our website? Check them out and then “Like” us on Facebook http://www.facebook.com/pages/Simi-Cakes-Confections/121435164568456 and Follow us on Twitter @Simicakes. Charmaine’s lovely wedding cake at Sweet Treats Cake Comp-she won! Here’s wishing everyone a Joyous Holiday and a Prosperous New Year! Place chopped chocolate in a bowl. Make sure you have a lid or plate to cover the bowl. In a small sauce pan bring the heavy cream to a boil and immediately pour the cream over the chocolate. Cover and let sit for 5 minutes. Whisk together when time is up. It is ready to pour over a cake or cool in the fridge to firm to use as a filling. Enjoy!